Studio photos by Michael Furman, historical photos are courtesy of George Reilly, McKlein Publishing and Porsche. 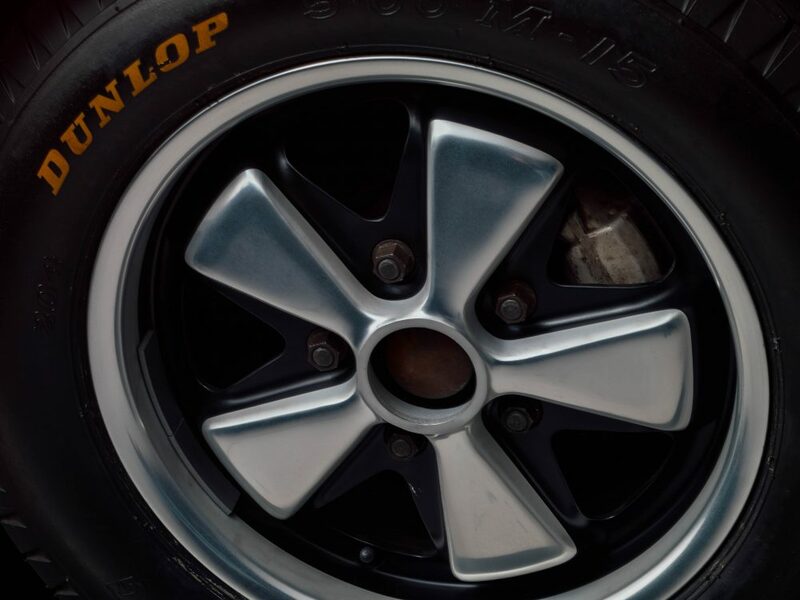 Here at Petrolicious we receive maybe 30 or so emails a day from passionate readers who are curious if we might be interested in their cars for films or stories. We see just about everything, Tatras, Model Ts, T-Birds, Trans-Ams, you name it, we see it. But when I cracked open my inbox the other day to an email from George Reilly and his son Andrew, I had a bit of a double take moment. My father had actually given them my email address at a Concours on the East Coast a few months ago. We spoke about it briefly at the time, but the moment largely came and went and I went back to my pile of daily reader submissions as per usual. When I saw exactly what I was dealing with here, a father/son duo with a factory works racing car, I was more than a little blown away. 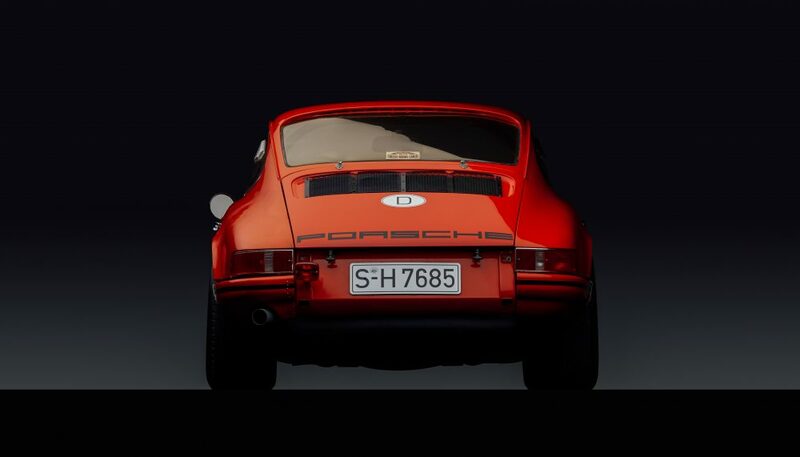 I’m not going to reveal too much in the introduction here as I’d like you to experience the story of George, Andrew and this 911 just as I did, from the beginning. 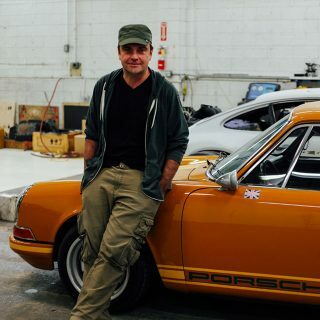 Ted Gushue: When did you first meet this extremely special 911? George Reilly: It’s the car I didn’t want and I didn’t need, because I already had several cars. 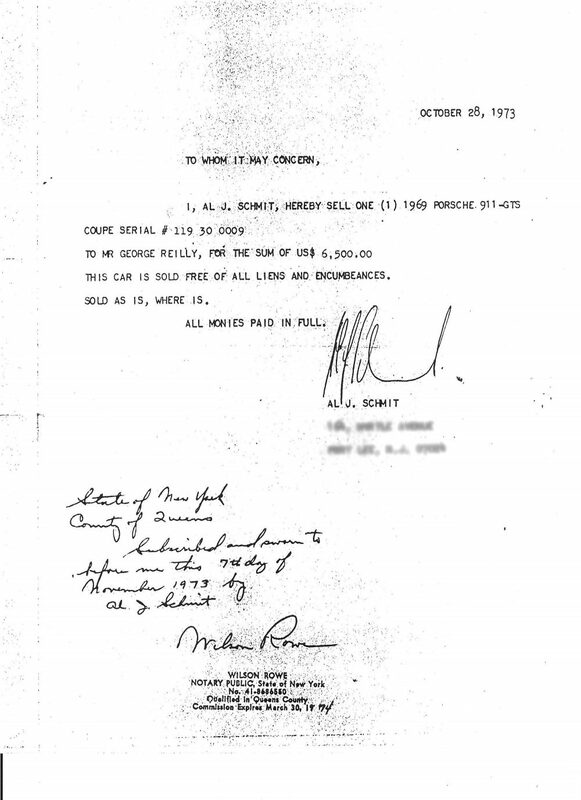 As I was talking to my son Andrew here recently, he was questioning me on how I found the cars in the early 1970s, and I said, “The Classified Ads!” And, in this particular case, my routine was to look at the Sunday New York Times classifieds and, in September 1973, there was an ad there for a 911. I was not in the market for a 911, I actually closed the paper and put it on the table after I saw it. But I noticed that the ad was about an inch and a half thick. I had done some advertising in the New York Times back then and a 2 line, 3 sentence ad was about $35.00 at the time. So I said to myself, “What is so important about a car that somebody will put almost 2 inches of print in the New York Times? It must be a fabulously expensive classified ad”. So I took it out and there I found the ad for the ’69 911 GTS with a lot of equipment, and I said to myself, “Well this is not a car I am interested in”. I closed the paper up and I put it back down. And some minutes later I decided, “Hang on. If this car is so special, the least I can do is to call up”. So, I placed a telephone call to the owner in Fort Lee, New Jersey. TG: And where were you living at the time? George Reilly: I was living in Massachusetts. So I called him up, and over a one-or-two hour telephone call, he described all of the car’s special features. Aluminum doors, deck lids, lightweight seats, high-performance engine, Plexiglas windows, sport tires, and on, and on… And again, I was semi-interested and my curiosity got the better of me. I decided he was less than 200 miles away from me, and it would be worth the drive to see the car in the metal, so I went down, saw the car and I think I spent half a day with the seller Al Schmit. TG: What was he like? George Reilly: Well, now, that’s an interesting story. Al Schmit worked for Pan American Airways. 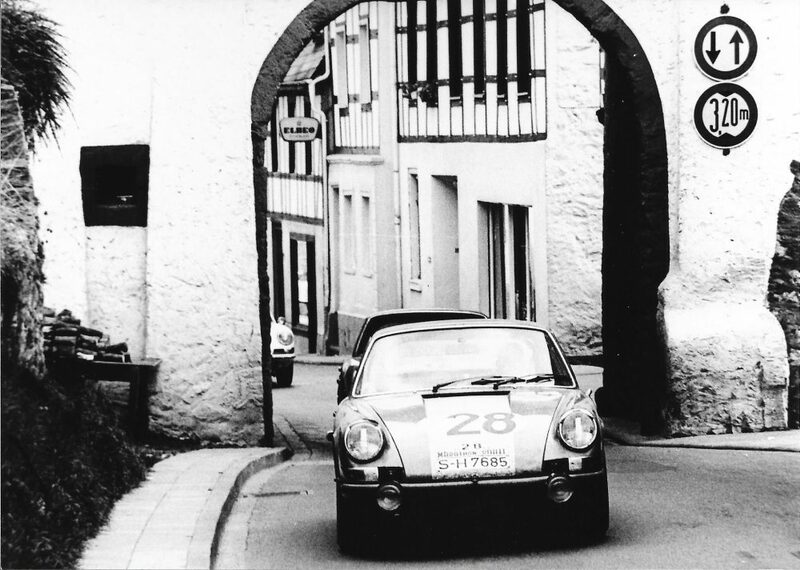 He was a Luxembourg national and his passion was rallying, and he had a relationship with Porsche Motorsport where he would take his vacations from Pan Am, and would head down to Africa and do reconnaissance for Porsche’s rally team for the Paris-Dakar Rally. 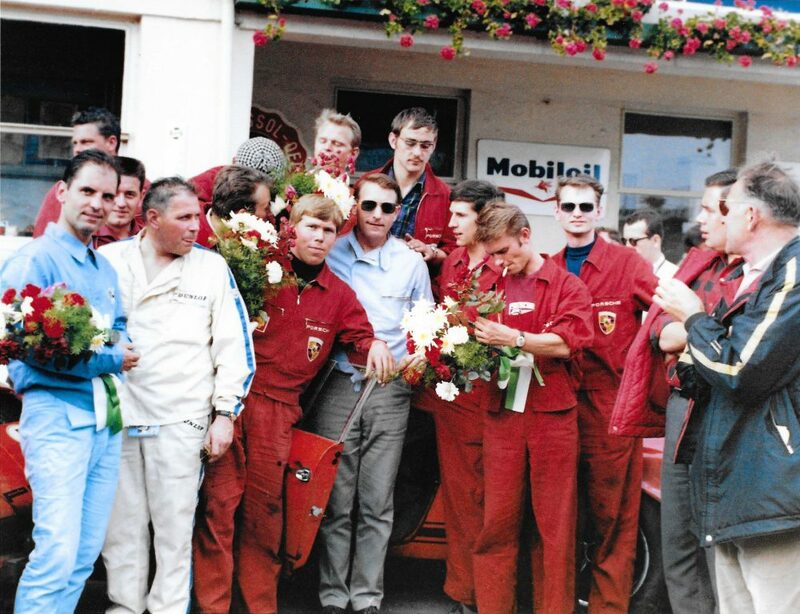 So he knew all the guys in Porsche Motorsport, which in those days was a very small organization. I didn’t know a great deal about the connection—not nearly what I have learned since then. But, basically, what happened was that when Porsche’s next model year came out, they sold last year’s models on. 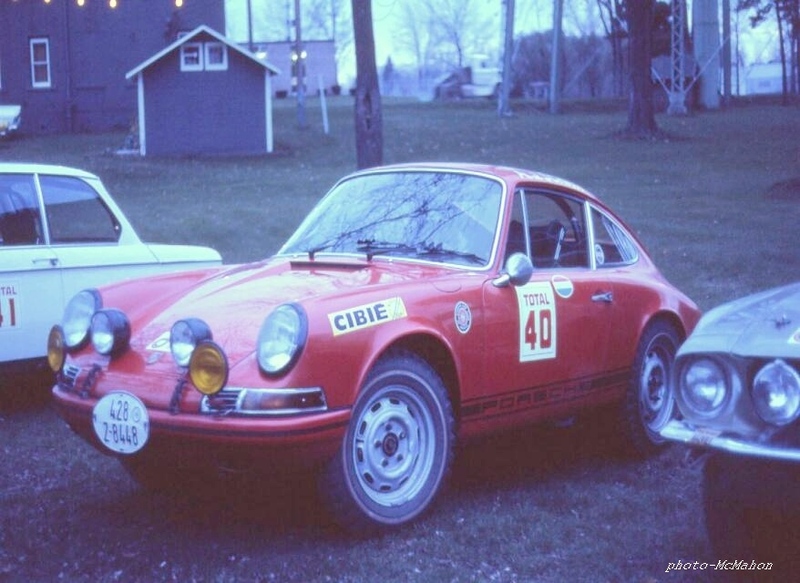 Prior to this, Al was doing SCCA rallies with a Volkswagen Beetle. But Al was in the position to purchase a rally car because, that’s what Al was into, and he was able to get this car directly from Porsche Motorsport. He ran it for about two seasons in the SCCA. My sense was that the car was over his budget so he decided to sell it on; and I was the one who benefited. At that point, I owned a ’69 911E, and when I drove this very special 911S-based car, I could immediately appreciate the difference. TG: How did the car start its life in Germany? 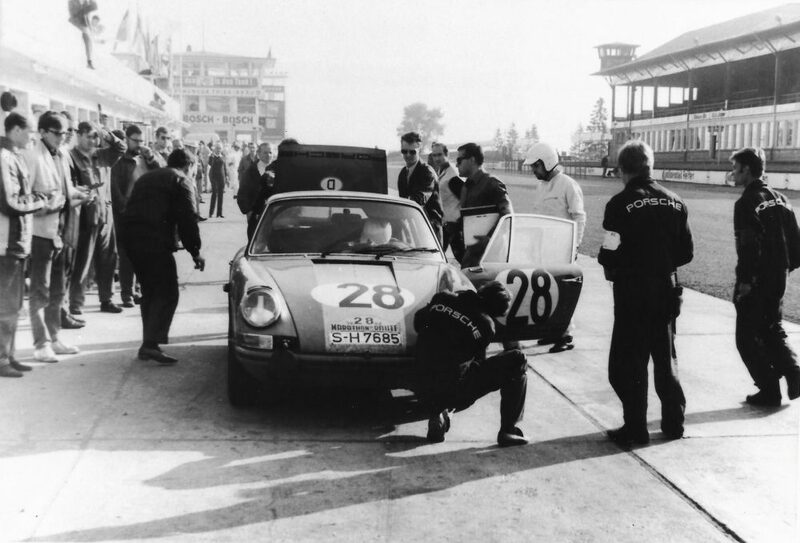 George Reilly: Well, the car was one of three cars built by Porsche Motorsport specifically for an event in Europe called the Marathon de la Route. 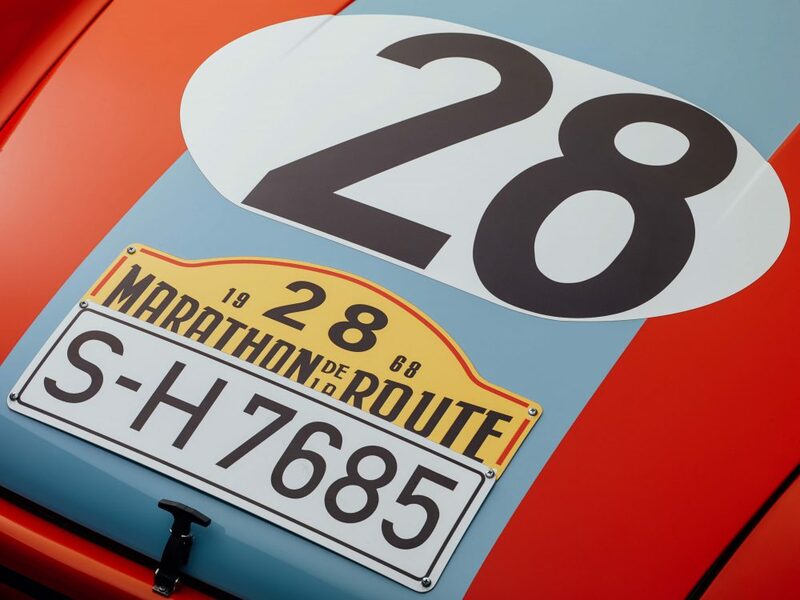 The Marathon de la Route was an offshoot of one of the great European rallies called the Liège-Rome-Liège Rallye. Like the Targa Florio and the Mille Miglia, the Liège-Rome-Liège was eventually banned because the public’s appetite for having race cars on public roads waned. The organizers decided that they, instead, would run an event at the Nürburgring that was of equal length and duration. 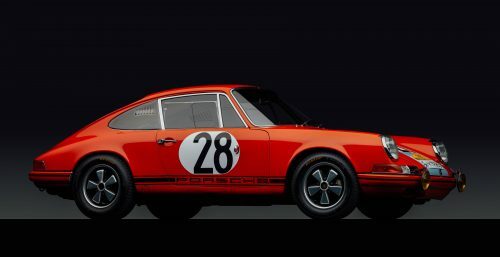 In August of 1968, Porsche entered three 911s that were purpose-built for this particular event. It was 84 hours in length, and this car was piloted by Herbert Linge, Dieter Glemser, and Willi Kauhsen, all German. So, Porsche came in 1st and 2nd, with the number 28 car, this car, coming in 1st. 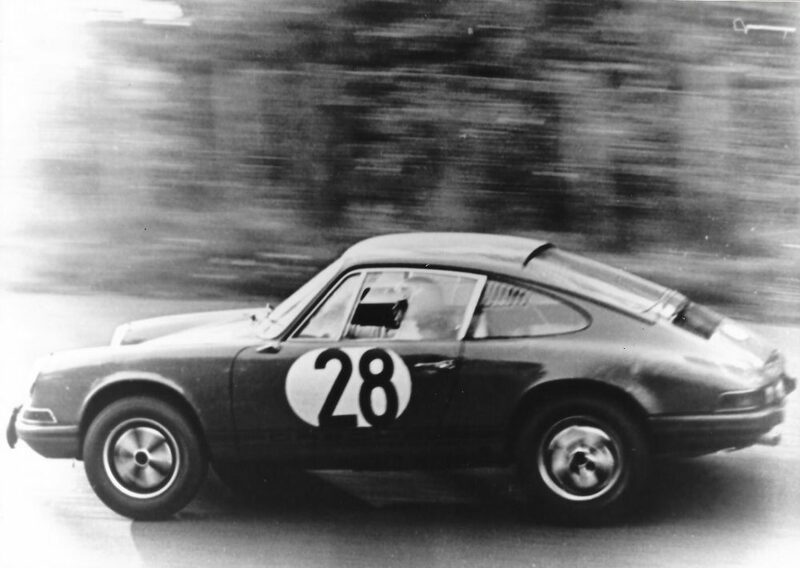 I have since found out that the Marathon de la Route was a big deal for Porsche. 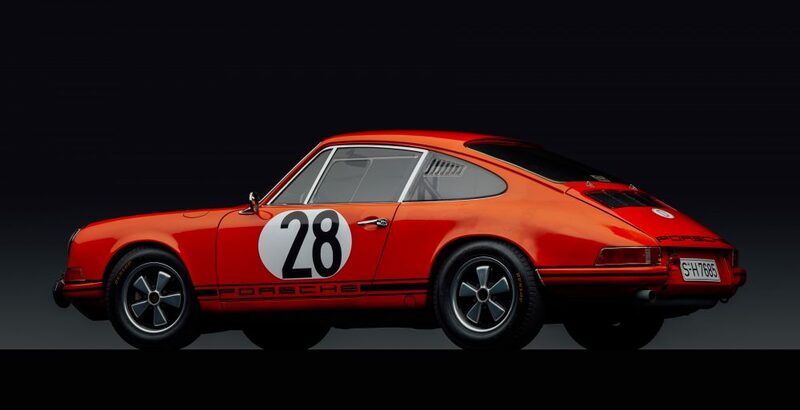 In fact, Porsche ran it in 1967, ’68, ’69 and ’70 in August, which was when the factory was normally closed. It was an opportunity for engineers to test their new models, and a great opportunity to capitalize upon these victories because the new cars were released in September, and there was prize money. This was a time when Ferdinand Piëch was very involved with the 917 program, so production-based racing was going on in parallel. Ferdinand’s personal philosophy was to put a new car in every event, which was his way of insuring that they would be successful and not break down. TG: Race on Sunday, sell on Monday. George Reilly: Right. 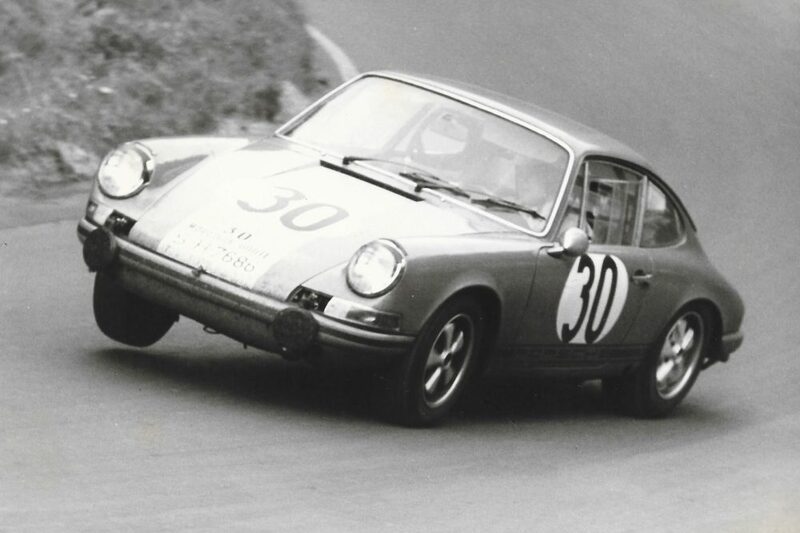 So Porsche used to keep their first 10 cars off the assembly line for internal use and racing. This was car number 9. Andrew Reilly: Porsche, like many other manufacturers, used competition as a platform for development. 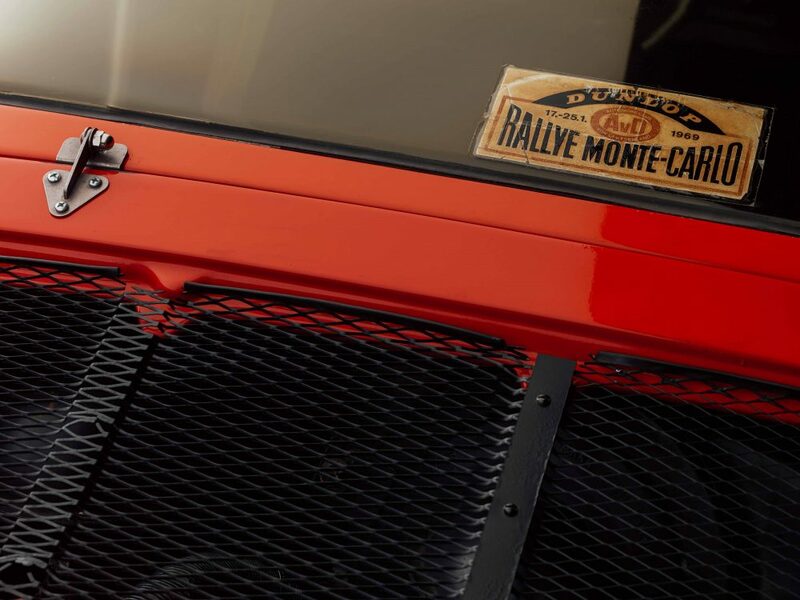 One of the important aspects of this car is that it is, perhaps, the first victory by a long-chassis 911. George Reilly: Oh, I think it is clear that this is THE first victory for a long wheelbase car. 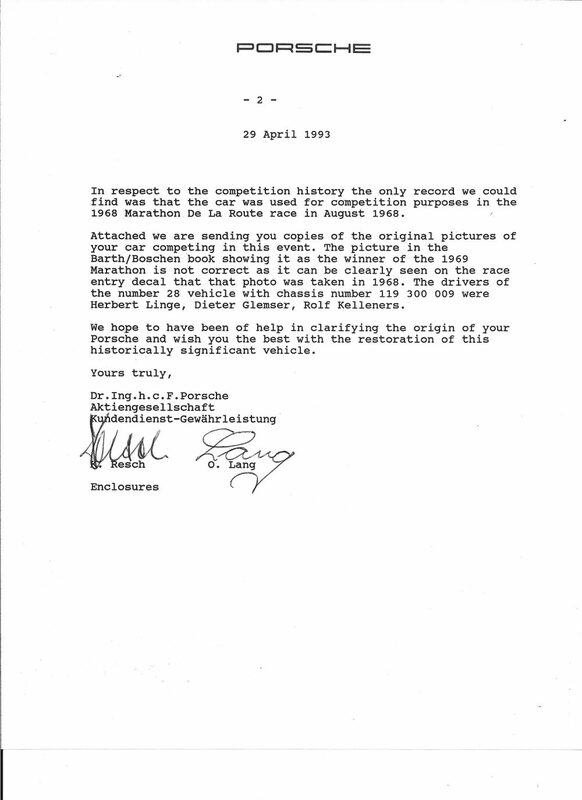 TG: Has Porsche recognized the significance of the car in your correspondence with them? George Reilly: Yes, they have. However, I did not discover the true significance of this car or its provenance for the first 20 years of my ownership, until I happened to get a copy of Paul Frère’s definitive Porsche 911 Story in 1994. I was looking through the book on the day that it arrived and I noticed a photo of a car that looked like mine on the Nürburgring. And what caught my attention was that it had a license plate on it. That’s unusual, because most racing cars don’t have license plates. The number on the plate looked so familiar to me, so I went to my files, and there it was. I had the registration for that serial number; for that license plate. As you can imagine my head was swimming at that moment, so I began a correspondence directly with Porsche, and they confirmed that it was the same car, and it had this significant history as factory car and was victorious. 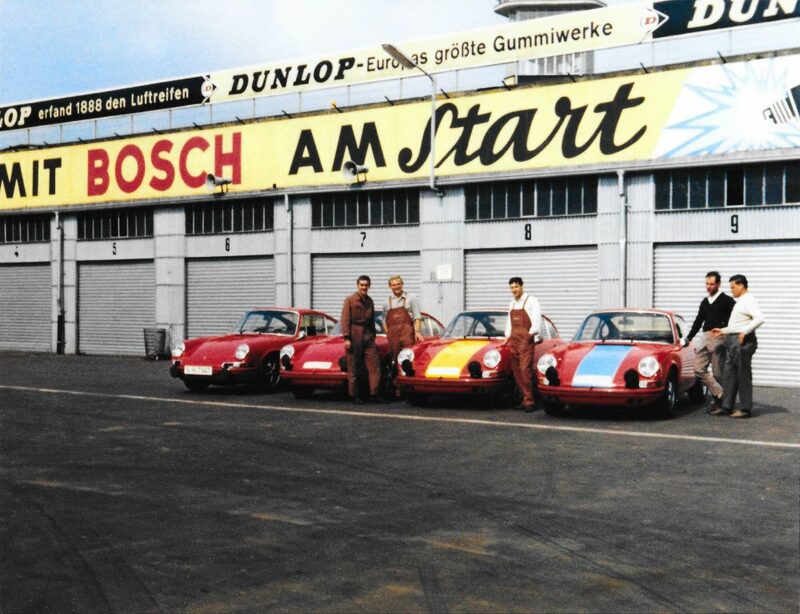 And that began, for me, a whole historical research project where I had an opportunity to interview the drivers, interview the people at the factory that were responsible, getting original photographs from the Porsche archives… It’s been quite a ride, with the 40 years of ownership, and 20 years without knowing what I had. TG: Were the drivers blown away when you contacted them? TG: Like who’s this crazy American guy calling, and how does he have OUR car? George Reilly: [Laughs] That’s true. I’ve gotten to know them, and I have transcripts of the interviews with them. It’s really been quite something. I think the most interesting part of the research came in the course of one of the interviews I conducted when helping a friend research a book. 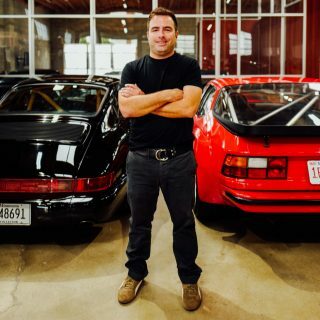 I was in the Porsche archives conducting an interview, and at the end of one of the interviews a 9-page document came out of a briefcase and across the desk, and it was an engineering report for this event and for the vehicle that took 1st place. 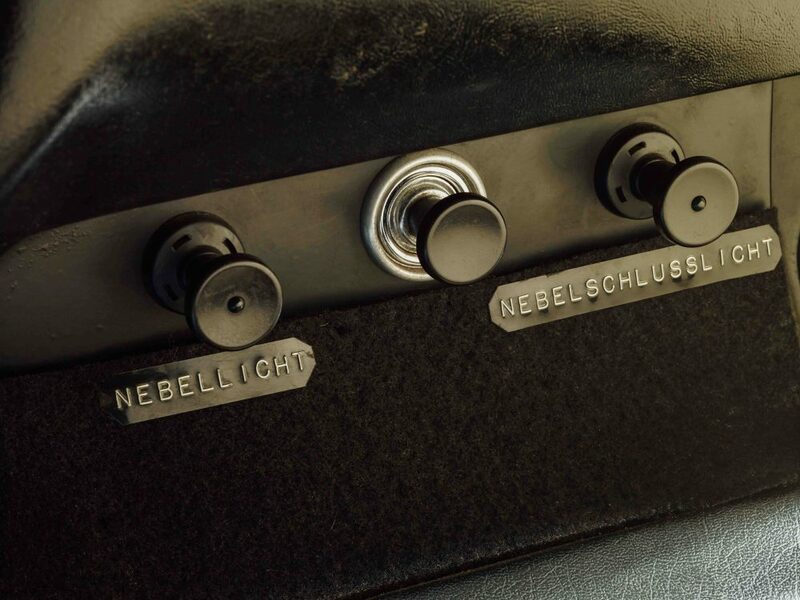 It was a complete history of how the cars were prepared—what equipment they had…I am looking at it now…aluminum roll bar, plexiglass slide windows, special ventilation system. 911S engine. I can tell you that they tuned it to 170 horsepower, which was down from the stock 180 because they were going to race it so hard and for so long. And this report goes through the times of pit stops, and analyzes different components. It talks about the stops during the race, it’s really quite an extraordinary document. TG: How do you have the car tuned now? 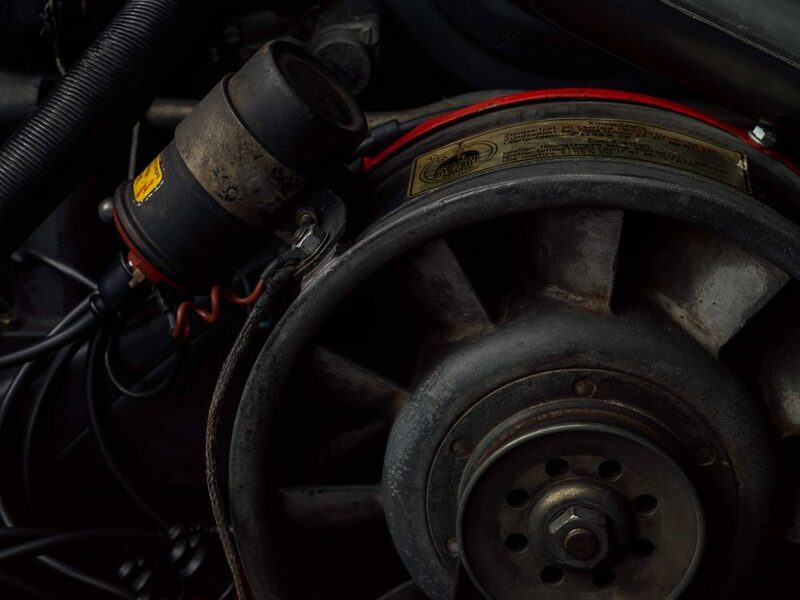 George Reilly: The car is just the same way it came from Porsche but the engine is back to 180 horsepower, because the factory removed the engine it was using during the 84 hours and put a new engine in. So this is the high-output 180 horsepower engine. TG: What was it like to discover that you had purchased a factory racer? George Reilly: Well, it’s been one of the most exciting experiences of my life. TG: I imagine for some people, who are less invested in Porsche, this would have been a bit like a lottery winning moment, especially because it drastically changes the value of the car. But for you it feels more like you were so honored to become a part of history. George Reilly: I think that’s a fair statement. TG: And what kind of response do you get when you take the car out to shows, or you bring it to Porsche events, do people go kind of slack jawed? 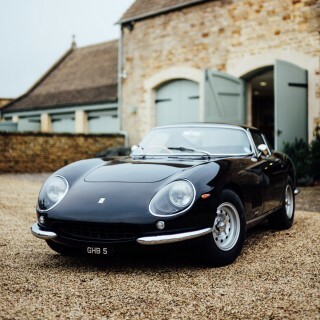 Andrew Reilly: It might be useful to understand that at the time Dad acquired this car he also had in his garage a 550 Spyder, RSK, 911R, and 904; he had a number of outright competition cars. 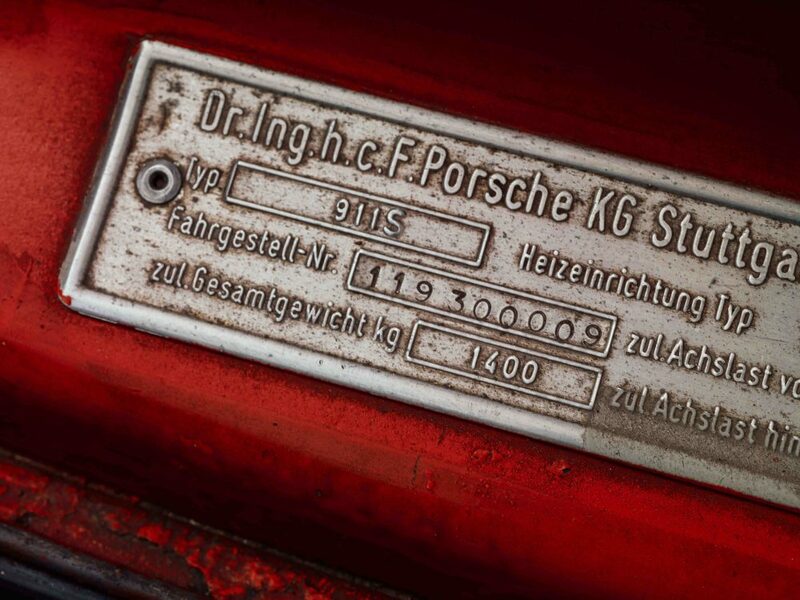 Porsche was a company divided in two: there was the production side that built 356s, 901s and 911s. And then there was the rennsport side. So, the discovery of this car came in two stages: first, that it was a “wolf in sheep’s clothing”—a car that outwardly appeared to be a road car, but revealed itself as a total race car. And, then, the Marathon de la Route discovery was the cherry on top. George Reilly: Well, that’s right. I think maybe one of the reasons that I was really surprised about this as Andrew said, is that I had other cars at that point that were, at least outwardly, of way greater significance. So I think I gave less attention to the provenance of this car, because it was somewhat in the shadow of the others. But, clearly it was the most roadable of all my cars at the time, I could drive it all over town and never get a second look from anyone, even though it had all of this extra performance. TG: Tell me about the fiberglass seat that is on the passenger side. Was that a factory option, or something you had to put in? George Reilly: I’m looking at the engineer’s report now, and among the equipment that is listed here is a Carrera 6 passenger seat. 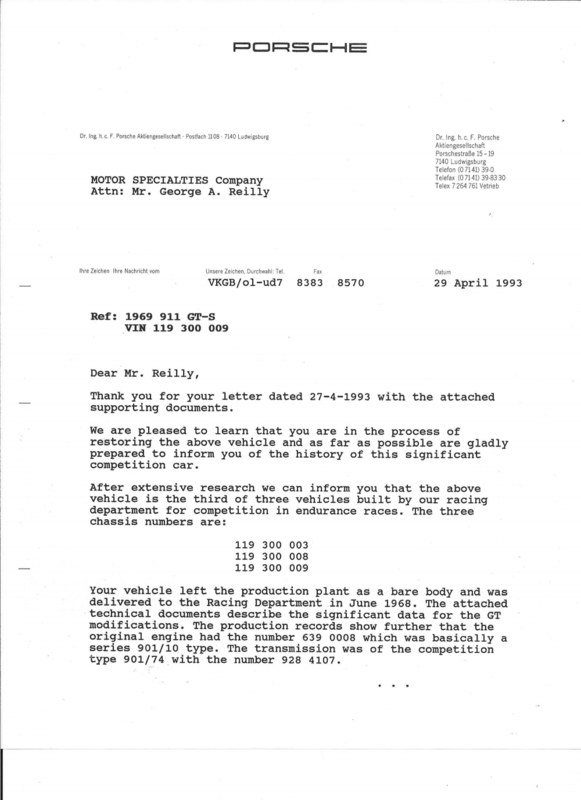 George Reilly: So it was in the original equipment list. TG: And when you purchased the car it was already installed, that’s the originals of the car in your experience? Andrew Reilly: No, Dad replaced some of the equipment, reconfiguring it to its original race specification subsequent to his discovery of its provenance. 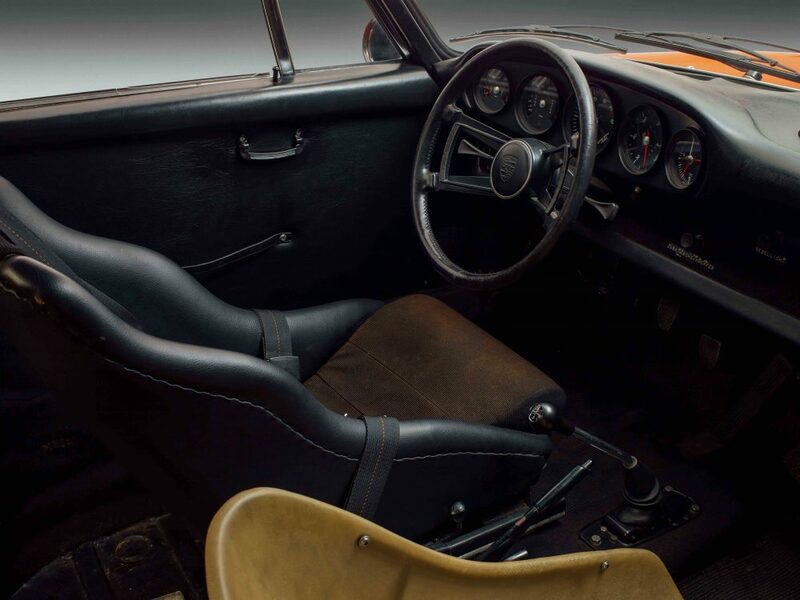 For example, the car had two rally seats installed, when purchased. 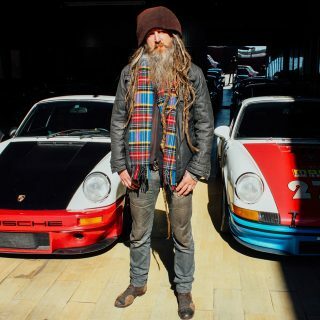 George Reilly: I was invited to bring this car to Pebble Beach the year they had a special tribute to the 50th Anniversary of the Porsche 911. They selected seven streetcars and seven competition cars, and the “Marathon” car was one of the 7 competition cars. So it became this challenge for me to reconfigure the car to the original Marathon’ configuration. TG: What was the feeling like when you received that invitation? George Reilly: Oh my God. That was my feeling, “Oh my God”. I mean, I’ve been to Pebble Beach over the years and I know that they only invite the most special of the special. The invitation was given to me so gently. There was a whole “feeling out” process, and then a special phone call—sort of a three part invitation, if you will. I was very excited. Very, very excited. 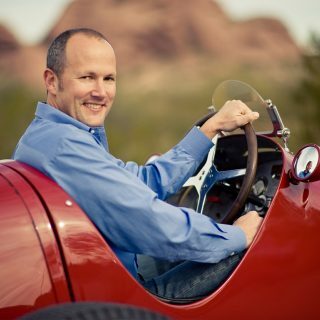 Andrew Reilly: My father has had the opportunity to show this car on several occasions over the years, but one moment stands out, in particular: the Rennsport Reunion in Monterey, California when the car was reunited with Willi Kauhsen, one of its three drivers at the 84-hour Marathon de la Route. It was so special for everyone to see this reunion, and that may have never happened if my father wasn’t such a thoughtful and enthusiastic custodian of this car. I think that this car, and all that it represents, may have been lost to the sands of time had it not been for my father’s stewardship and interest to know more. TG: That must have been incredible. George Reilly: And Kauhsen remembered the car, in stunning detail, almost like an old friend fifty years on. It was incredibly special. Editor’s Note: Stay tuned for our full dive into George Reilly’s collection of incredible automobiles. James, Reading is fundamental, and you are missing the point – which is that a factory works Porsche was available to be purchased through the classified. Imagine opening up Hemmings, or the New York Times, today and seeing a small (text only) ad that you could buy last year’s LeMans, or Daytona winner!?! That would be incredible. Today most factory racers are either retained or destroyed. 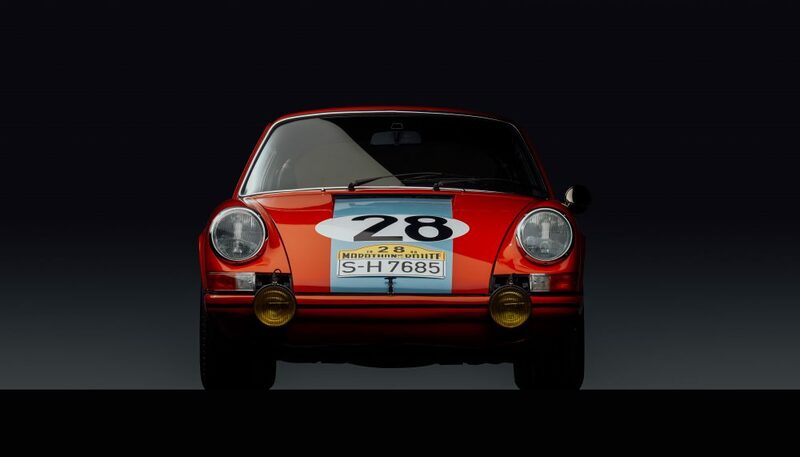 Here is a digitally filtered version of Brian McMahon’s photo of this 911S at the 1971 Press On Regardless. We need some film on this one. This is one of the best stories to be told. Sometimes a gem can be found in the most unlikely of places! White classifieds were the norm back then, I’m certain that having a genuine motorsport level car being advertised, as opposed to, say, someone’s 71 Beetle, was, and is, a rarity among rarities. That such colorful, story-laden people are attached to it, makes it all the better. I bet this would be an awesome documentary. Great story! Why not make this a video? 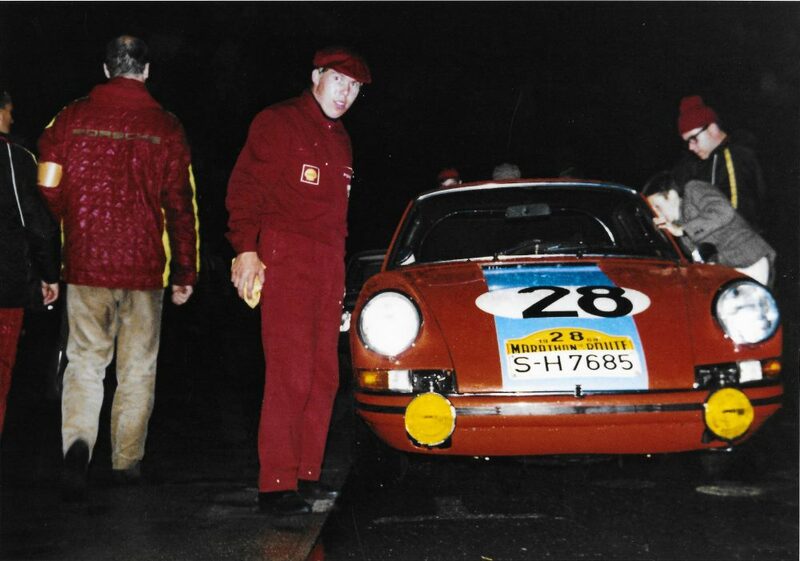 Ship it to Germany for a reunion with the old Porsche guys and have Willy Kauhsen drive the owner around Nurburgring. And yes, you can have my idea for free! Aint it amazing what can be found with such a low tech approach as looking at the classifieds ? 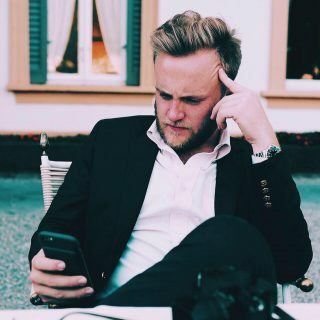 And to think … folks waste all that time , money and effort going to auctions for the privilege of over paying .. or worse yet … online .. for the privilege of potentially being scammed . Nice one Gushue ! And to the owner … as a serious Rally Porschefile myself … that is one hell of a find ! You do realize that the classified ad was back in ’73, right? And at the time the car was only 4 years old. It’s not like he read and saw the car in the classifieds last week. You make it sound like all we have to do to find a great car is to search the classifieds! RIF – Reading Is Fundamental…. Thanks man!! It’s really special, isn’t it.